Ibn al Xu’ffasch is the son of Talia al Ghul and the Batman (Bruce Wayne). 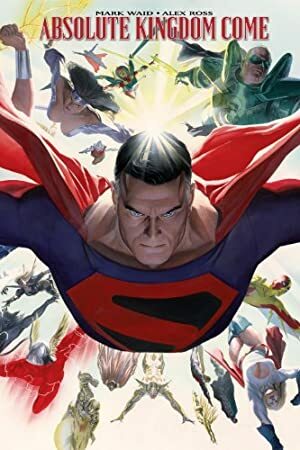 He exists in a possible future of the DC Universe, which was first chronicled in the landmark Kingdom Come Limited Series. Ibn has no innate abilities beyond his astounding physique and intellect. He is very highly trained in body and mind and his ability is matched only by his ruthlessness. Ibn al Xu‘ffasch (“Son of the Bat”) is the child of Bruce Wayne and R’as al Ghul’s daughter Talia. He was raised by his grandfather, who didn’t exactly follow Dr. Spock. Al Ghul raised his grandson to be strong and fearless, preparing him to take over as the head of his international organization. Ibn rose to great power and strength of character. He eventually murdered his grandfather and scattered the remains across Asia to prevent him from regenerating. He took over the organization and became one of the wealthiest men on the globe. 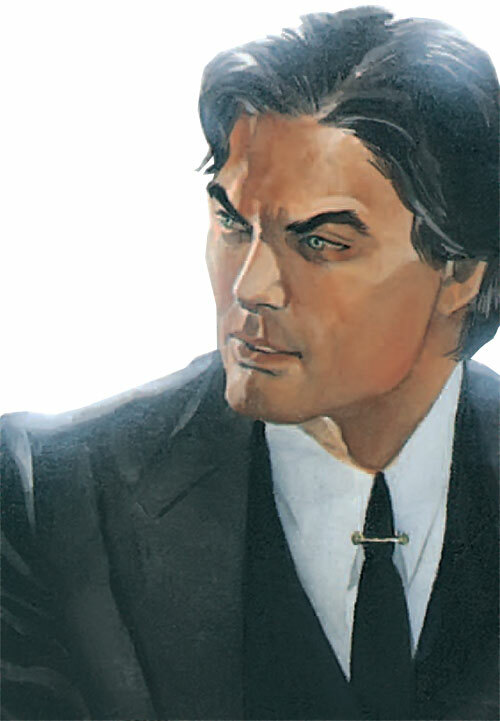 He joined Luthor’s MLF during the Kingdom Come crisis, and served as liaison to the Batman. When the MLF was taken down, Ibn joined forces with Wayne. In the timeline of The Kingdom, Ibn traveled back to 1998 with Hunter and the other young heroes to stop Gog. Ibn is a very attractive young man in his late 20s. He has a perfect physique, long dark hair, and the kind of eyes you just want to fall into. In other words, he’s dreamy ! All this, brains AND tons of cash. No wonder he’s so popular ! Ibn al Xu‘ffasch is arrogant, conceited and condescending. This may have something to do with him being almost perfect. He has inherited the best (and worst) elements of his father and grandfather. He is a competent leader and a brilliant tactician, but is stubborn and completely unprepared for his plans to fail. When things go unexpectedly he tends to fall apart into uncertainty. Ibn also relies heavily on Nightstar to be his anchor and to prevent him from becoming too much like his grandfather. Attractive, Connoisseur, Intensive Training, Iron Nerves, Leadership, Lightning Reflexes, Security Clearance (High), Sharp Eye. Nightstar (High), Bruce Wayne (High after Kingdom Come), Lex Luthor (High), Talia (High), MLF (Low). SIH (R’as al Ghul), SIA (Impressing Bruce Wayne), SIA (Nightstar). LAZARUS PIT [/STR/ 08, BODY 08, Regeneration: 10, Bonus : The Pit is able to bring a subject of R’as al Ghul’s bloodline back to life. Misc. Drawback : The Pit will bestow its Str and Serious Rage upon any living person who bathes in the chemicals for 2 hours]. Source of Character: Kingdom Come, The Kingdom, The Kingdom: Son of the Bat.